Korean Air has officially confirmed that it will be launching new flights to Melbourne nonstop from its ICN hub three times a week from October 22nd. Flights will run on Tues, Wed & Thurs and be flown by the Airbus A 330-300 which has a three class configuration. According to the Sri Lankan Daily Mirror, Emirates is looking at ways to help increase the fleet size of Sri Lankan Airlines from the present 14 to 30 aircraft within the next five years. EK is also examining the possibility of replacing UL's aging fleet of A 320s with the larger A 321s. IAD - maintained at 5 weekly flights flown via FCO using a B 763ER. DEL/PEK - this route i.e. ADD-DEL-PEK has been increased from 4 to 6 weekly B 763ERs. ET has 5th freedom traffic rights on the DEL-PEK sector. BOM - capacity increased to weekly B 763ER + 6 weekly B 752. BKK - increased from 7 to 9 weekly flights nonstop from ADD using B 763ERs. JED - capacity increased to 2 weekly B 763ERs + weekly B 752. DXB - reduced from double daily to 13 weekly B 763ERs. HKG - maintains 3 weekly B 763ERs via BKK. Etihad Airways has signed a contract with CIT Aerospace for the lease of 2 new Airbus A 330-200s. The two planes are scheduled for delivery in January and March 2009 and they will directly replace two other leased aircraft. In addition, EY's CEO Mr James Hogan has informed the media, that the airline wants to increase its flights to India by flying to eight more cities in India namely MAA, BLR, CCJ, CCU, HYD, AMD, ATQ & JAI. In order for this to happen, the Abu Dhabi-India air bilateral accord first has to be amended to allow for such a major Indian expansion to take place. On the other hand, Etihad Crystal Cargo has announced that it will be wet leasing one MD 11 freighter aircraft from Sept 17th onwards to expand its cargo operations worldwide. This MD 11F will join 2 AB6Fs and will be used to HHN (Frankfurt Hahn), BOM and PVG only. For decades, Air India and Indian Airlines have maintained a strong monopoly grip on Calicut airport by lobbying the Indian Govt for not allowing any Arab airline fly into the airport as they feel that this is a very lucurative route. I do not see this changing in the short term future even though it maybe on EY's wish list. Etihad should concentrate on flying to cities to India where it doesnt face stiff competition from EK & QR thus having the ability to carve itself up a nice little niche market for itself. Cities in India that come to mind are ATQ & JAI where neither QR nor EK fly to but WY will be launching JAI flights soon nonstop from MCT. Philippine Airlines has announced that it will be increasing its flights to Australia by flying 2 additional flights to Sydney and Melbourne effective November 26th. All 5 weekly flights will be flown using the Airbus A 330-300. On Mondays & Thursdays, the routing is MNL-SYD-MEL-MNL and on Tues/Fri/Sat, its MNL-MEL-SYD-MNL. Cathay Pacific has announced that it will be increasing its Sydney bound flights from Hong Kong from triple daily to 25 times weekly . The 4 new weekly flights will be operated with a 3 class Airbus A 330-300 and will come into effect from February 1st 2008. ATQ - capacity reduced to 5 weekly B 752s. DEL - reduced from 4 weekly flights (2 B 752s + A 313s) to 3 weekly A 310-300s. BKK - capacity increased from 5 weekly A 313s to 5 weekly B 763ERs. PEK - reduced from 3 to 2 weekly B 763ERs. ICN - frequencies increased from 2 weekly B 763ERs to weekly B 752s + 2 weekly B 763ERs. SVO - maintained at 11 weekly A 313s + 3 weekly B 763ERs. CDG - reduced to a weekly B 763ER. FRA - reduced from 3 weekly A 310-300s to 2 weekly B 763ERs. MXP - increased from a weekly A 310-300 to 3 weekly A 310-300s. FCO - reduced from twice a week A 310-300 to a weekly operation. IST - capacity reduced to 4 weekly A 310-300s. TLV - increased from 3 to 4 weekly B 763ERs. SHJ - increased from 2 to 3 weekly B 763ERs. 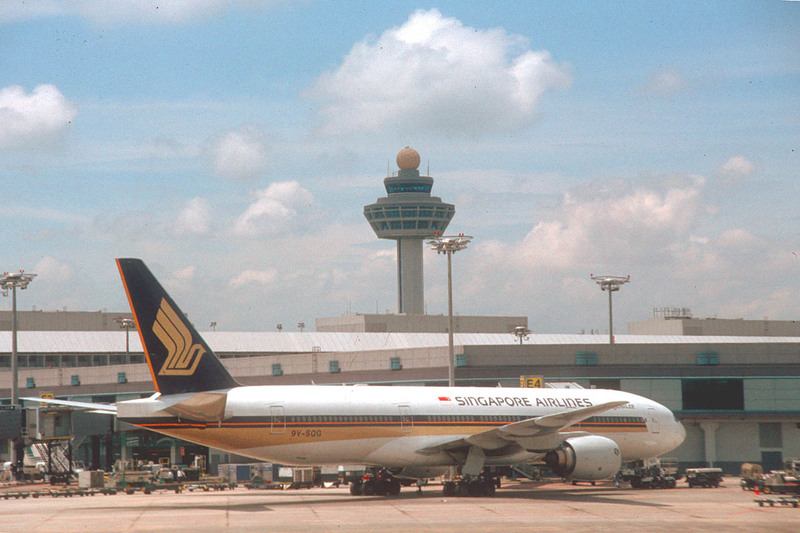 Singapore Airlines has announced that it will be increasing its flights to South India from this month onwards. Flights to Chennai-MAA will be increased from 8 to 10 weekly flights i.e. daily B 773As + 3 weekly B 772As and flights to Bangalore will be raised from daily B 777s to 10 weekly B 777s. Oman Air has announced that its first long haul destination from Muscat will be daily flights to London Gatwick from this November. The airline will fly a 2 class A 330-300 six times a week and once a week an A 310-300. These flight timings are ok for LHR too as the airport has slots avbl during this time of the night and therefore its surprising to see LGW chosen over LHR. However, once the Omani Govt forces GF to suspend its MCT-LHR flights, one can expect WY to fill up the gap and switch their operations to LHR. In addition, these flight timings into LGW offer no decent onward connections to the Indian subcontinent in either direction. According to Yahoo India, Air France is contemplating increasing its presence in the market by launching new flights to Cochin, Calcutta, Goa in the near future and adding more frequencies to Chennai. The carrier is reportedly experiencing load factors in the high 80% on all its South India flights which has surprised people in their Paris head office. Goa is too much of a leisure market, fit for charter flights and not worthy of scheduled flights flown from CDG on a year round basis as the passenger data base is too low yielding. In anycase, according to the India-France air bilateral agreement signed on Feb 23rd 2005, AF can only fly to BOM/DEL/CCU/HYD/BLR/MAA with a maximum allocation of 35 flights per week to the country. This effectively rules out AF's ambitions to fly to COK & GOI any time soon as for it to happen, the bilateral agreement must be re-negiotiated first. Currently, AF has daily flights to BOM, DEL, BLR and 4 weekly flights to MAA therefore 25 flights in total. It would be best if MAA is increased to daily with the A 332 / A 343 and the remaining 7 frequencies used to launch daily flights to HYD as this market has more high yielding potential than CCU does in the long term. Flights to HYD should be flown with an A 332 initially 4 times a week and then increased to daily after a year of flying the route. Jet Airways of India has announced that effective Oct 30th, its Toronto bound flights will originate from Chennai-MAA instead of Delhi. In addition, the airline will be increasing Toronto flights to daily service effective December 6th from MAA via BRU. The airline attributes this increase to exceptionally high advance bookings being witnessed for its Canada bound flights. 9W will continue to use the A 332 for its YYZ bound flights when the service goes daily. 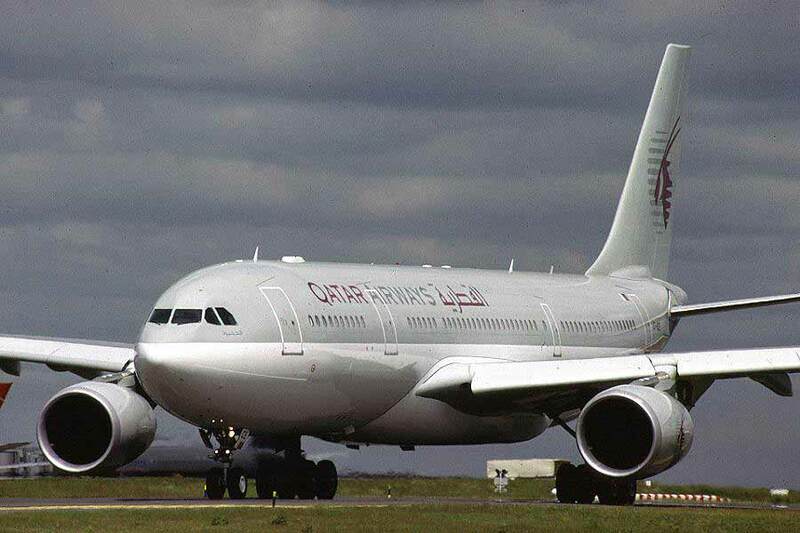 Qatar Airways has announced that the first long haul route for its new Boeing 777-300ER is Washington DC. QR's B 773ER will replace the A 346 currently used by the airline from January 1st 2008. EWR - increased to 5 times a week from Dec 16th. Flights operate on all days except Mon & Wed.
KHI - capacity increased to 2 weekly A 332s + 5 weekly A 320s. MAN - capacity increased from daily A 332 to daily A 333. DME - capacity increased from daily AB6 to daily A 332 effective January 11th. CDG - from late January, capacity is increased to daily A 346 + 2 weekly A 333 + 2 weekly A 332. FCO - capacity increased from 4 weekly A 332s to 2 weekly A 333s + 2 weekly A 332s.